Malawi’s new president is tough, smart, and savvy… and she’s pledged to pursue positive change for African women. 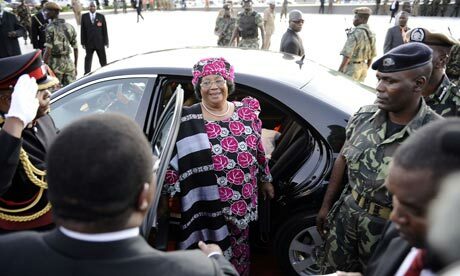 For 48 turbulent hours she was the victim of a conspiracy that left the future of Malawi hanging in the balance. Then Joyce Banda made a critical phone call to the head of the army, asking if she could rely on his support. He said yes. And at that moment her place in history was assured. Entry filed under: Uncategorized. Tags: africa, developing world, Helping Women Helps the World, Joyce Banda, Malawi, women, women in leadership, women in politics, women's rights.